King Min Saw Mon took the throne of Mraukoo in 1432 AD. Two years later, after king Min Saw Mon had gained the throne of Mraukoo, he erected the Buddha image on Kyatchar mountain in AD 1432. 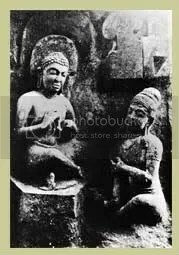 In the same year, he also built Yanaung Buddha image, Natebuza Buddha image, Bopyo Buddha image, Sutawpan Buddha image, Thattawchay Buddha image and Latthukywe Buddha image at seven mountain ranges. King Min Bar ascended the throne of Mraukoo in 1530 AD. In the year of accession of king Min Bar, he managed to recapture twelve cities of Bengal. Before the king began the military operation, he consulted with ministers. Therefore, minister Kaung Kyaw Tin Sar spoke to the king humbly according to the ominous saying that all the mosques must be placed only Baungdweat quarter, and the new umbrella must be replaced for the old one of Wathay Buddha image after renovating it, and all muslims must be shaved heads. In accordance with the minister’s advice, before he started the military operation, the king donated the new umbrella for the Buddha image in 1532 AD. In the present, the cave fell into ruin. During the British regime, U Yat Thay Aung renovated the image. 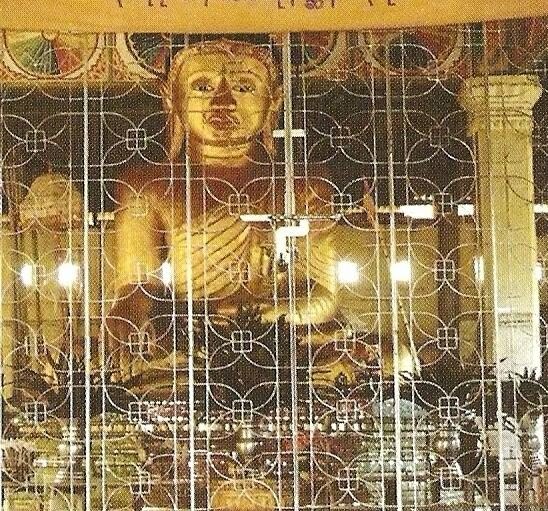 Nowadays, the board of trustee of the pagoda performed donating the golden robe and maintaining the prayer hall.